French Photographer Caroline Planque was on the USU campus recently to present portraits of, and interviews with, individuals affected by capital punishment in Texas. The Utah legislature recently considered (and did not pass) a bill that would have abolished the death penalty in the state. Planque first became interested in people who are impacted by capital punishment while attending college in Austin. Since the reinstatement of the death penalty following a four-year moratorium ending in 1976, Texas has executed more people than any other state. 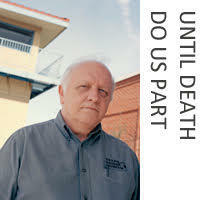 Since 2005, as a part of her ongoing project “Until Death Do Us Part,” Planque has been interviewing and photographing family members of death row inmates, family members of victims, former death row inmates, attorneys, chaplains, former prosecutors and prison officials, and others. We’ll hear some of these stories. We’ll also hear the voices of a man who was executed in Texas in 2010 and his spiritual advisor, who has attended many executions. Her presentation was part of the Morris Media & Society Lecture Series facilitated by Utah State University’s Department of Journalism and Communication.